As the weeks have passed in Dublin and I find myself more comfortable with the world around me I have started to venture off to new places. So far, my travels have taken me to the west coast of Ireland to visit Galway and Ballina. Galway was a short and sweet trip for one evening with some of the members of my abroad group. While there, we explored everything the town had to offer from the coastline to the cathedral. Galway is a well-known city and visited by many due to its proximity to the Cliffs of Moher. Although we did not do the Cliffs on this visit I plan to go back in the coming weeks because I don’t think I would forgive myself if I missed them during my time here. 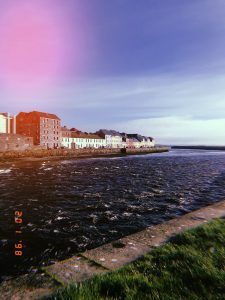 If you ever get the chance to visit Galway I would highly suggest exploring the shops and restaurants down each street, we did lots of window shopping. On Saturday when we arrived the views were distorted by lots of fog, but Sunday the sun pulled through and shone beautifully, so before we caught the train home we took a stroll on the coast and admired the Atlantic Ocean. Something that we have taken advantage of here in Ireland that I had never used in the states before was traveling by train. Although Dublin and Galway are on opposite sides of the country our train trip was just under 3 hours, it was a pleasant ride with lots of landscape to see. 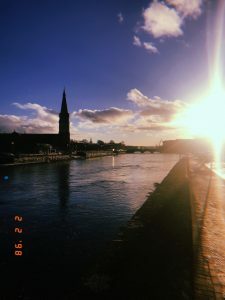 If you read my first post, you will know that I am not only studying here in Dublin but interning as well. 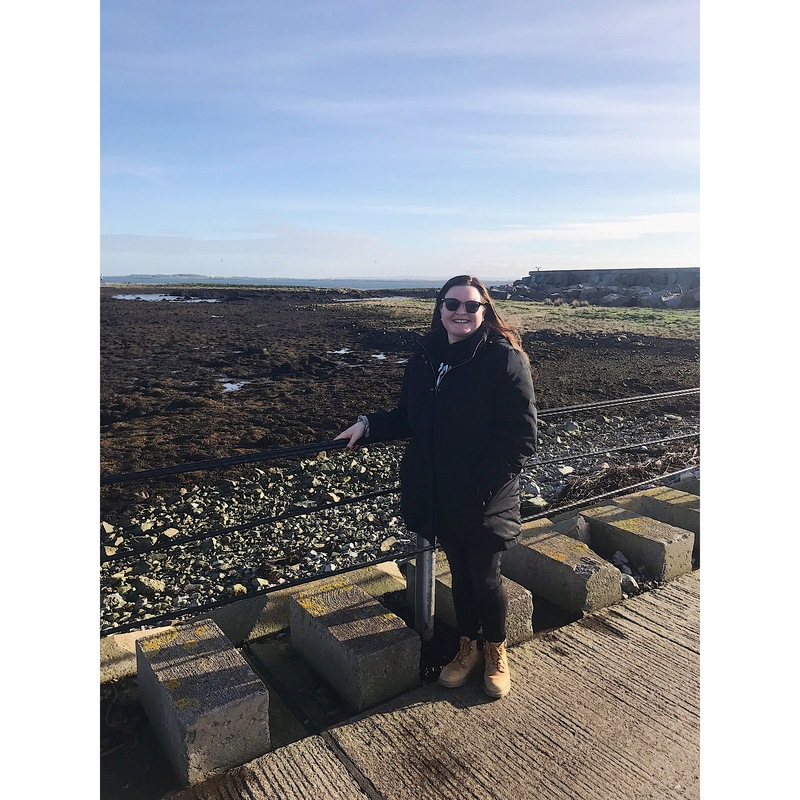 I was assigned to work with Senator Michelle Mulherin, and this past weekend I was lucky enough to visit her home, Ballina, in the Northwest of Ireland. It was a long, but stunning bus ride to Ballina, I have found that each time I leave the city even if I try to sleep on my journey I often gaze out the window because I am struck by the beauty all around me. During my weekend in Ballina I attended events, with Senator Mulherin and helped with a pamphlet drop on Saturday and Sunday morning. It was a lovely experience made 100 times better by the fact that it snowed, which made the already stunning landscape even more beautiful. The weekend was a nice escape from the busy life of Dublin, but it also gave me the chance to see where Senator Mulherin grew up and met some lovely people during my time there. Along with that I got the chance to stay with Senator Mulherin’s mother and have a real, not college student made, home cooked meal for the first time in a month and it was awesome. I didn’t realize how much I missed it until now. I am struck by how quickly my time here in Ireland is going, my weeks are packed with studying and interning, and I save my weekends for travel. Each day I remind myself to take a moment to appreciate the things going on around me because soon enough I’ll be headed back to the states. There are two photos from Galway, both from our walk along the coastline, one features me while the other features some of my favorite coastline architecture in Galway. 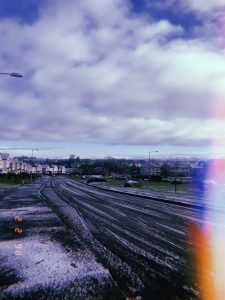 The other two are view from Ballina that were too pretty to pass up, while I am not the biggest fan of snow, it was beautiful to take in the view while walking around on Saturday morning.